Today is a special day in America, St. Patrick's Day. This day is a not a national holiday, and sometimes it is called St. Paddy's Day. It is on March 17th every year. Saint Patrick was a famous priest in Ireland. March 17th, 461 is when he died. There are many Irish-Americans in the United States. 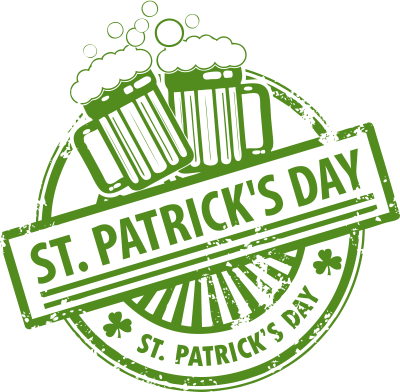 So this is a day that people celebrate their Irish heritage by wearing the color green, displaying shamrocks, and drinking (sometimes green) beer. Many people who are NOT Irish-Americans also celebrate in the U.S. because it is a fun day. There are some parades and parties in many cities. Here is the Japanese Wikipedia about St. Patrick's Day.